Prime Minister Nguyen Xuan Phuc has affirmed Vietnam’s consistent policy of strengthening its traditional friendship and comprehensive cooperation with Cambodia. He made the statement on October 30 while receiving General Vong Pisen, General Commander of the Cambodian Royal Armed Forces, who is on an official visit to Vietnam from October 29-31. PM Phuc congratulated Vong Pisen on the latter’s new position as the head of the Cambodian armed forces, saying he believes that the General will continue his efforts to better the traditional friendship between the two armies in particular, and Vietnam-Cambodia ties in general. Speaking highly of the outcomes of the talks between Sen. Lieut. Gen. Phan Van Giang, Chief of the General Staff of the Vietnam People’s Army and Deputy Minister of Defence, and General Vong Pisen, he said that the talks will help implement the cooperation agreements between the two defence ministries in an effective manner. The Government leader went on to praise their sound collaboration in the fields of training, border security, the fight against smuggling and human trafficking, and search and rescue activities. He asked the Cambodian Ministry of National Defence to coordinate with the Vietnamese side in the search and repatriation of remains of Vietnamese volunteers and experts who were taken down in Cambodia during the war. As both sides are preparing for the 40th anniversary of the victory over the Khmer Rouge regime (January 7, 1979-2019), PM Phuc suggested Vong Pisen urge competent authorities to join hands with Vietnam to organise the celebration activities to highlight the significance of this historic event. He asked the Cambodian Government to create favourable conditions for border guard forces and border localities to carry out cooperation programmes, while stepping up popularisation to ensure that local people strictly abide by border-related regulations for a shared border of peace, stability, and development. 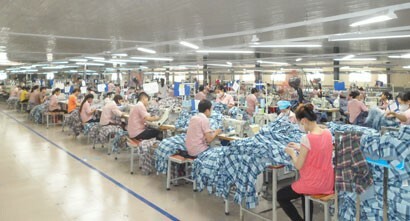 Vong Pisen, for his part, informed the Vietnamese Government leader of the cooperation results between the two armies. They have made significant contributions to the strong bonds between residents in border areas, and concerted efforts to protect border security. They also have had smooth collaborations in the joint patrols of the border localities and working on border demarcation and marker planting, he added. 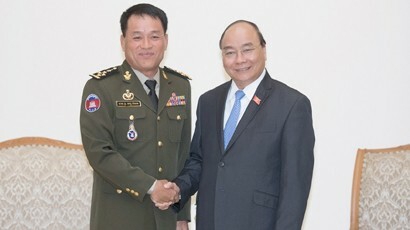 The General took the occasion to thank the Vietnamese Ministry of Defence for providing training for the Cambodian army. 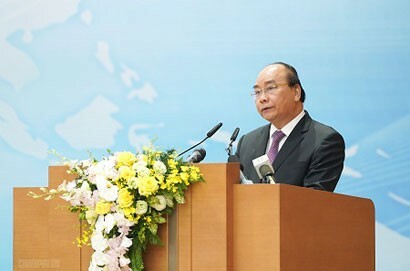 The Cambodian Government and people have always treasured and will continue to treasure the valuable support of Vietnam during its national liberation and socio-economic development, he said, underlining that Cambodia, in return, will carry on facilitating conditions and work closely with their Vietnamese peers in the search and repatriation of remains of Vietnamese soldiers in the country.